Condition: Very Good (Contains library stamp) Slight yellowing of page edges. Binding good. All pages still clean and intact. Textured maroon leatherette boards with paste down photo on front, gilt lettering on spine. This volume is one of a series of twenty-four from Time-Life Books that chronicles the history and culture of the Native Americans. 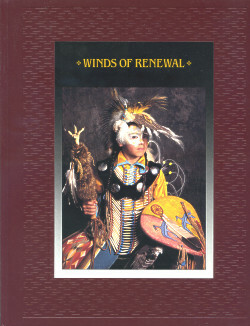 Winds of Renewal examines the life and cultures of Native Americans in the twentieth century, and their relations with government. A perspective look at life today for America's first inhabitants. Beginning with a photo essay, we are led on a journey of spiritual healing and renewal across a continent and spanning centuries. Collect all 24 volumes to complete the entire series!